For lovers of Christian rock and heavy metal! Know of any English-language Christian music using middle-eastern instruments or arrangements? Sorry CT. I did a lot of research when writing for Valley of the Kings. I found lots of bands working out of the Middle East. There are some wonderful Christian bands (beautiful harmonies), but I didn't find any that sing in English as a rule. The ones I found that sang in English were either mixed faith (Christian, Islamic, Jewish), Islamic, or atheist. That said, with the exception of death metal bands, the subject matter tended toward the prim side of the fence, i.e., clean subject matter, no swearing, etc. I did find a few Christian instrumental bands playing with middle eastern instruments though. It was a long shot, but thought I'd ask. I really liked the sound of Harmony's Son of the Morning and was hoping to find something similar. Thanks for the reply. I'd say Amaseffer is the closest I can think of. They are at least Jewish if not Christian. They have a progressive metal concept album called Slaves for Life based around the exodus. you should be concerned about your own." 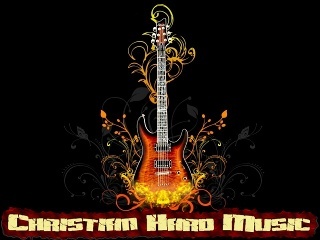 Christian Hard Music :: The Melting Pot - All other forms of Christian music go here!